Powder Mountain Winter Resort is located about nineteen miles northeast of Ogden, Utah, and is one of three ski and snowboard resorts in the Ogden Valley. When Powder Mountain opened in 1972, it had just one lift. Today, the resort has four chairlifts and three surface tows. Because Powder Mountain generally sees fewer tourists than other resorts in Utah, it is a popular hotspot for local riders. Powder Mountain promotes itself as a family-friendly winter resort. As such, the resort offers midweek discounts for locals, family season passes, night skiing, private and group lessons (including the Burton Learn to Ride program), shuttle services, reasonable lodging on site and in nearby Eden, and equipment rental shops. Though Powder Mountain offers minimal entertainment, fine dining, or glitzy lodging, the resort does offer Snowcat skiing and tours, inbound guided tours, backcountry guided tours, and snowkiting. In fact, Powder Mountain is the only resort in the country to offer snowkiting to patrons. What's more, the snow at Powder Mountain is arguably the best in the world. The resort also offers a motocross track in the summer. 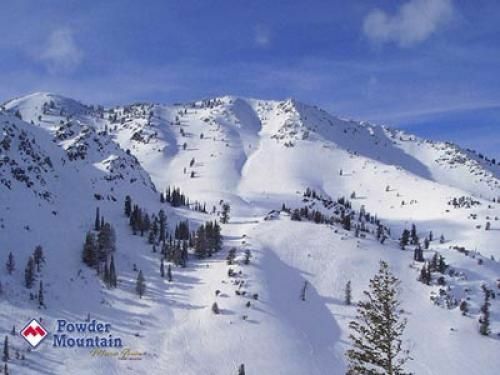 At a base elevation of 6,900 feet, Powder Mountain receives an average annual snowfall of 414 inches a year. 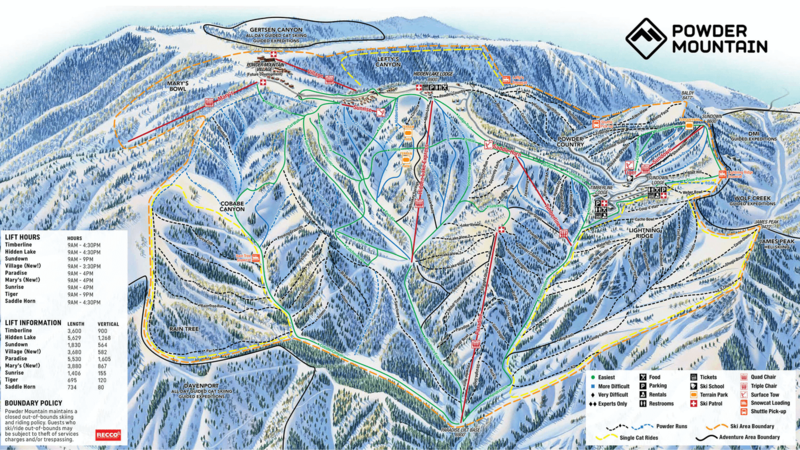 The resort offers 113 runs of varying difficulty spread across 2,800 skiable lift-served acres and 5,500 skiable backcountry acres.